Fiamma Awning- adjustment to make it close all the way? When I crank it in, the front latches nice and snug, but the rear always just kind of hangs out. It looks like I should be able to manually push it into place, and there's a little red tab that looks like a latch release of some kind, but I can't seem to get it to do that. Is there some secret adjustment somewhere that will make it close all the way? Looking down the length of the housing, it appears to be bowed just a little, laterally. I have a set of Z's brackets, but haven't put them on yet. 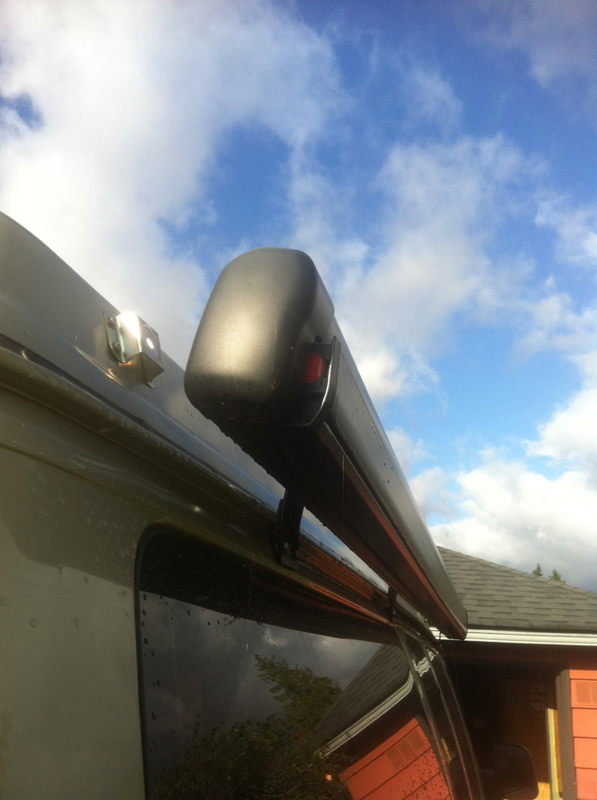 Re: Fiamma Awning- adjustment to make it close all the way? I had the same problem. There are two "wheels" inside the awning when you open it up, near the edge of each side. You use these to make the adjustments. I had the same problem, in addition to adjusting the little "wheels", the factory rep suggested shimming the loose side to make it take up a bit more, just like you would shim a roller shade. That did the trick. I used a doubled length of duct tape about a foot long (after doubling) and just rolled it into the awning at the end of the roller after fully extending the awning. That's exactly the adjustment I need. Thanks! Thanks for posting. Mine hasn't closed all the way at the rear part of the awning since I bought it, but never really lost sleep over it. Will have to take care of it now. Good post. Bringing it back from dead for future reference and just in case someone else like me did not know. I had made the adjustments but noticed it slightly falls out again in time. Velcro cinch straps work like a charm and don’t look half bad either. I think I used the 18 inch ones. One in the back and one in the front.